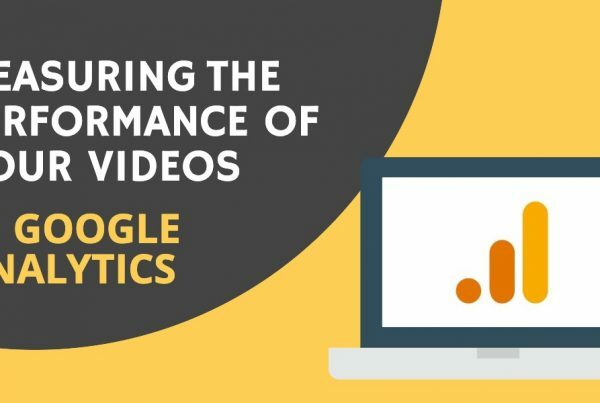 Measuring and analyzing the performance of your videos is important as you attempt to continually improve the results of your video marketing and communication efforts. But not all video metrics are equal, and not all data are collected in the same way. It’s in how you combine these various forms of data that allows you to make more informed decisions. 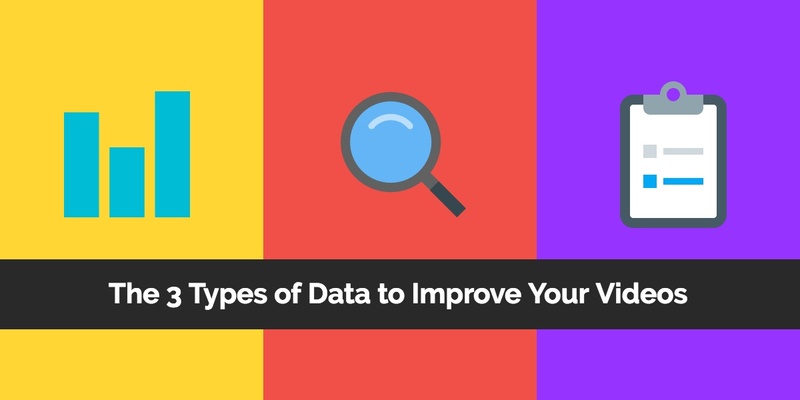 Here are the 3 types of data that you can use in order to improve the performance of your videos. This is the type of numerical data that we typically think of in order to track actions and behaviours. For a website, you might measure and report on visits, bounce rate, and conversions using tools like Google Analytics. When it comes to online video, the metrics available can vary depending on your video hosting service. YouTube offers plenty of this type of data, including Views, Average view duration, Watch time, Audience retention, Demographics, Traffic sources, Devices, and reports. This can be synced with your website’s Google Analytics account, in order to offer even more powerful insights into audience behaviour. Quantitative Data can help you look for trends and to find opportunities for improvement. For example, you could split A/B test a version of a landing page both with and without a video, to measure the effect of the video on conversions. The quality of this data tends to increase over time and with the number of views, before a statistically significant result can be achieved which can make it a challenge to rely on in some cases. While Quantitative Data can tell you what your viewers are doing before and after watching a video, Observational Data can help to understand how viewers are engaging with your content. 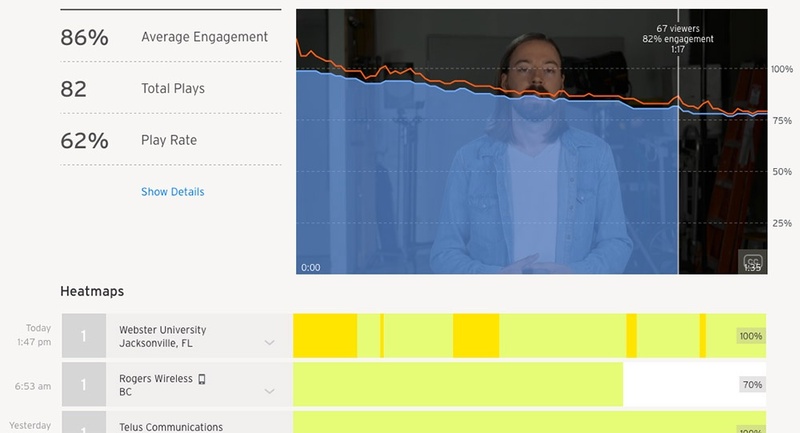 Professional video hosting platforms like Wistia allow you to take your analysis to another level by observing how viewers interact with your videos in the ‘wild’. Heat maps, like the example shown below allow you to track engagement both in aggregate and for individual viewers. You might notice that viewers tend to drop off at a certain point in the video, which could suggest that your video is too long or that there’s something that viewers find boring or simply irrelevant. Perhaps there’s a section of the video that viewers tend to re-watch several times, which could tell you it needs to be made more clear or a graphic held on screen for longer. In fact, if the video is being used to explain how to use a product and a specific section tends to be watched over and over again, you could take this into consideration in future product re-designs to make the product itself more intuitive to use. 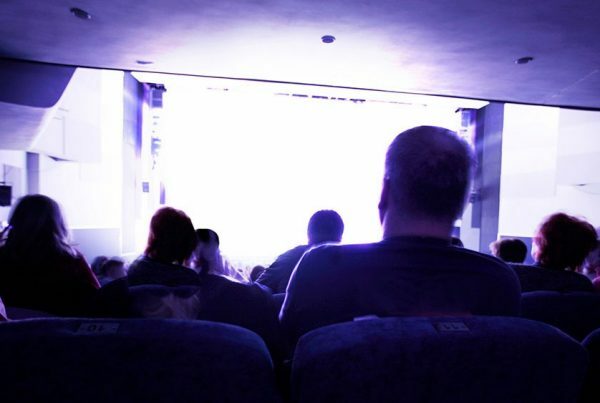 You can even collect Observational Data more literally by observing in-person how viewers interact with your content. Do they appear to be paying attention to the video or are they easily distracted? Did they have any follow-up questions for you? Observing these types of behaviours directly may help to explain some of the trends you may have seen in your Quantitative Data. Combine this with more advanced integrations with marketing automation platforms such as Hubspot and Marketo, or email platforms like Mailchimp or Campaign Monitor, for even deeper insights into the behaviour of individual viewers. This type of data allows you to dig deeper to find out why viewers act and feel the way they do. Since this is direct feedback from the viewer’s perspective and not your own, you’ll need to actually ask them directly with a survey or an interview. You might have noticed a trend in your Quantitative Data, which corresponds to the behaviour observed in several or your specific viewers in your Observational Data collection process. Why did they choose to click on that thumbnail, and not the other? Why did they stop watching half-way through the video? What were their key take-aways from the video, and what questions were they left with? Qualitative Data is especially useful after first launching a video, when the amount of Quantitative Data available is relatively small, or when your audience is more targeted. The goal of any measurement and reporting should be to act on it in order to improve results. While it may be tempting to act on Quantitative Data alone, it’s only by combining this with both Observational and Qualitative Data that you can start to truly understand how your videos are performing. Data allow us to ask questions, to perform experiments, and ultimately to make decisions in an informed way, but it’s important that not all creative decisions are driven by this data. At the end of the day, making great videos is as much of an art as it is a science. Download our Guide to Getting Started with Video Hosting and Optimization to learn more about how you can begin measuring the performance of your videos.